This mixed media painting was created by Gina Kloes using acrylics, and has been hand embellished with crystals. Ho’oponopono is a simple ancient healing and forgiveness ritual that will heal your heart and cleanse your world. At the core this prayer is the concept of total responsibility, for your own actions and also everyone else’s. You create the space to be a strong healing presence for your life and everyone in your world. Through the process, you will also be healed. In Sanskrit Mandala means circle and it is so much more. 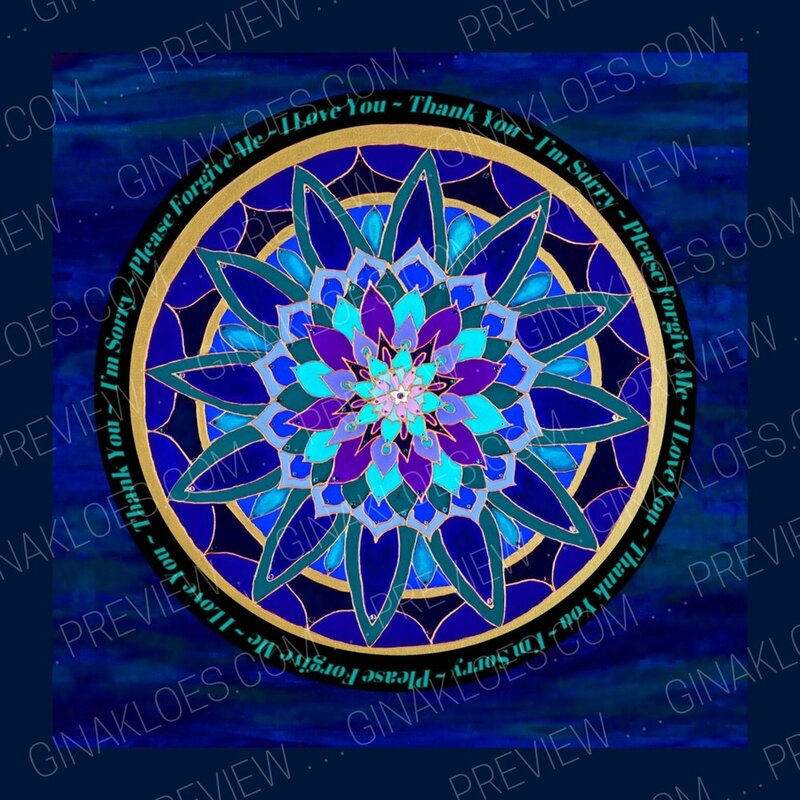 Mandalas represent wholeness, the circle of life, and our relationship to the infinite. The circular shape symbolizes unity, harmony and our life’s journey as a full circle together - beginning, middle and end, acknowledging that we are all connected. Circular mandala imagery appears in the universe, the planets, nature, our bodies, and in all aspects of our material and nonmaterial world. Conceptual circles also arise in friendships, communities and families. Mandalas are a model for unity in our inner world and our outer universe.